I’m sitting here on a lounge chair looking out over a beautiful lake in the middle of Upstate New York. I love vacations like this – a few adventures on a boat with an equal balance (if not more) of relaxation. Much of my relaxation time is spent reading, a leisure activity I wish I had more time for. 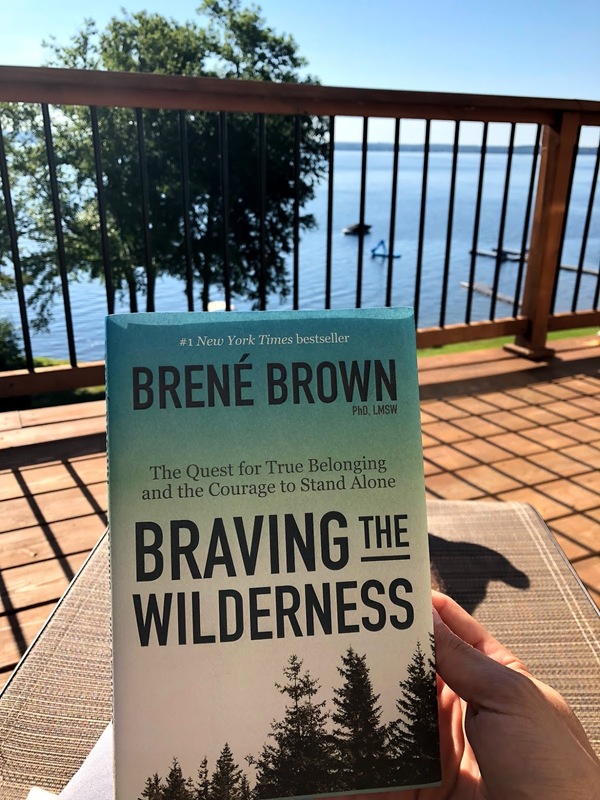 “Braving the Wilderness” by Brene Brown was one of my 2018 vacation reads. I used to read a ton of books each year, but that was a product of using public transportation to get to work. While I’m happy that’s not the case anymore, my reading is usually limited to a few pages in bed before my eyes start to shut. Over the last two years, I’ve read or re-read 50 different books — all physical hard copies, not digital versions. Many of these books — 22 to be exact — now make an appearance on my NYU graduate class’ syllabus as recommended reading. Outside of class, I’m also often asked for reading recommendations, which leads me to this post. To put these three dozen books in ranked order would be extremely difficult. That’s why I’m simply listing them in the order of which they were read, and then marking those that I would recommend and those that have a place on my syllabus. I’d also like for you to contribute. In the comments below, let me know, if you (hypothetically) taught a graduate-level class, what are the books that you would have on your syllabus? Note: I’ve included Amazon affiliate links to all the books within this post.